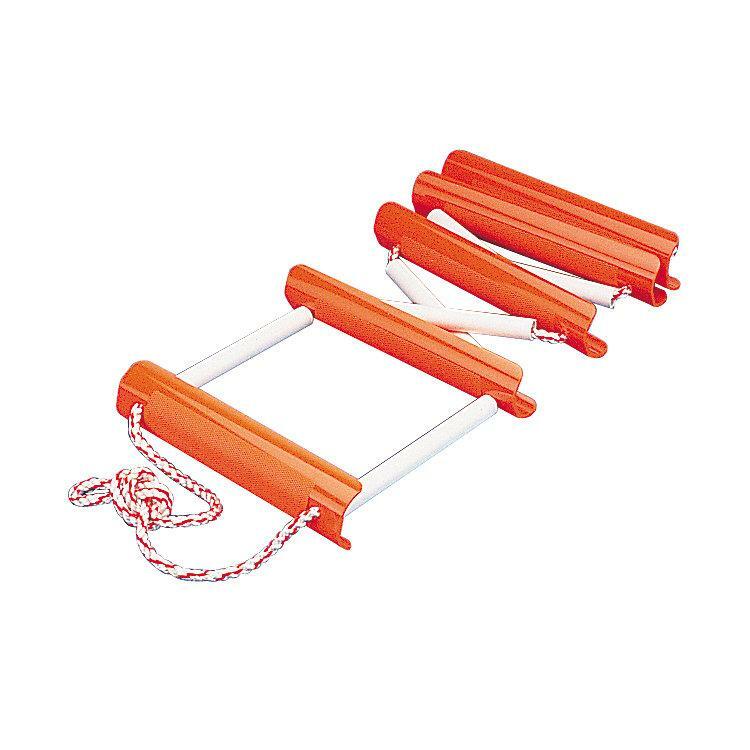 These portable emergency boarding ladders are made of high-visibility orange polycarbonate with nylon rope supporting the frame. Each step has a molded in non-slip grip pattern. 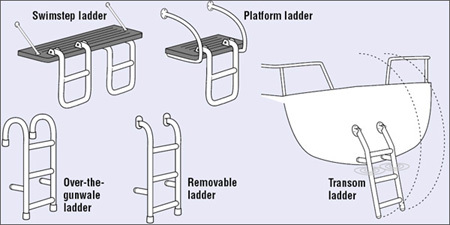 The ladders secure quickly to cleats, railings, stanchions and halyards and will support up to 300 pounds. Steps are approximately 9" apart.